View this: “La Clave” – ¡Uno, Dos, Tres con Andrés! + Music tutorial! Hispanic Heritage Month is from Sep 15 – Oct 15, 2014 and to celebrate, here is a new video for “La Clave,” by Andrés Salguero from his recent release, ¡Uno, Dos, Tres con Andrés!. “La Clave” refers to the musical instrument that keeps the rhythm in salsa music. It also refers to the beat itself which Salguero demonstrates as he sings “Pa Pa, Pa Pa Pa.” “La Clave” encourages participation as viewers are encouraged to sing along with the lyrical text while also visually experiencing what the heartbeat of salsa looks, feels and sounds like. You don’t have to know Spanish or salsa to participate. The key is to find your own rhythm and move along. I guarantee you will. BONUS!! – Andrés put together a web tutorial demonstrating how to play La Clave, the musical instrument used to create the rhythm in Salsa and Afro Cuban music. This is an excellent opportunity to and make music with your family while introducing them to the sounds of World music. Bring along some rhythm sticks or use simply use your hands and follow along! To learn more about La Clave click here. Shiver me timbers! It’s National Talk Like A Pirate Day! Stand tall, me hearties, and be counted! 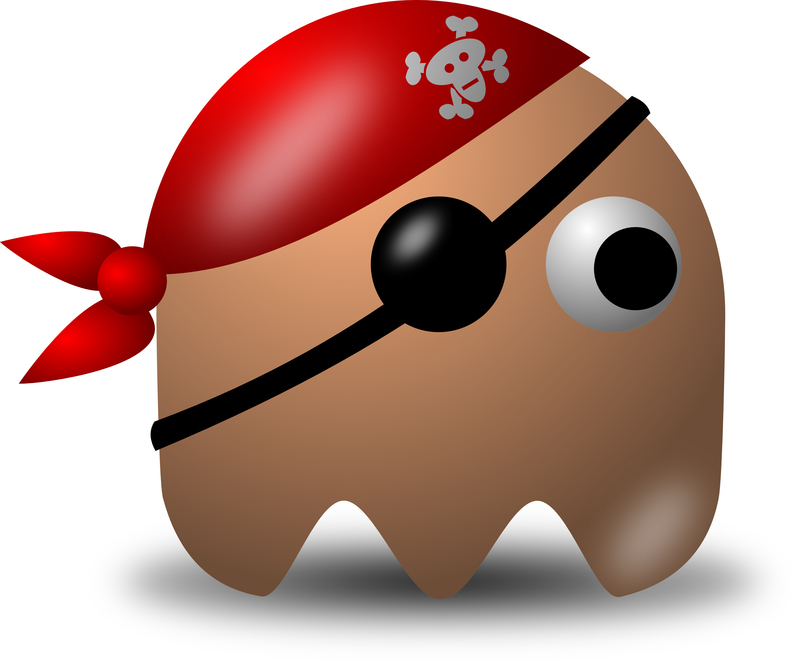 Today is National Talk Like A Pirate Day! 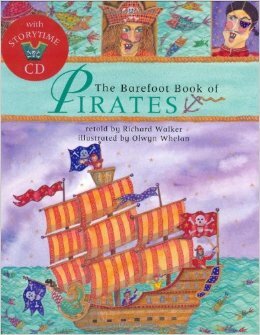 In honor of this holiday, I thought I’d share a few pirate songs and a list of pirate books that regularly make the top of our reading list at home. Enjoy mateys! Bill Harley is one of our favorite storytellers! In this pirate adventure we get to meet Dirty Joe who sails the seas looking for dirty socks! But he’s not alone. Dirty Annie is equally as fierce. With a hilarious twist, Dirty Joe is caught completely off guard. This swashbuckling anthology is equivalent to a World Music compilation of pirate tales as each story comes from a different country. It’s a great book to read aloud as it introduces kids to characters such as “The captain in the German tale, Kobold and the Pirates; others, like young Mochimitsu in the Japanese tale, are friendly and funny.” Even Robin Hood makes an unexpected appearance! 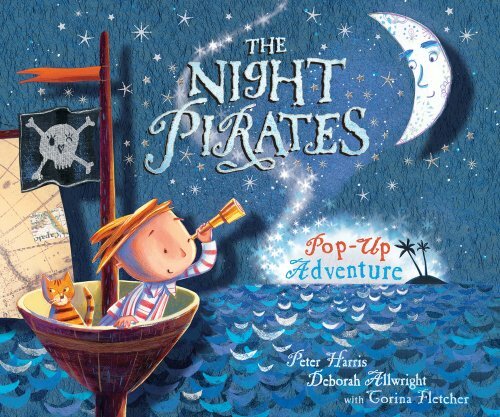 The main character, Tom, is awakened one night by a band of girl pirates who invite him along on their adventure to steal treasure from grown-ups on a far away island. It’s a silly tale that is filled with colorful illustrations and simple words for practicing readers. It is also a wonderful book to read aloud. The Bay Area’s best children’s music festival is back! In its sixth year, Tricycle Music Fest is presented jointly by the San Francisco Public Library (SFPL) and San Mateo County Library (SMCL), with help from the Friends of the San Francisco Public Library. Together they bring the biggest and best kindie rock music to Bay Area families. The event kicks off this weekend on September 13, 2014. This year’s roster is filled with Grammy winners, Grammy nominees and Kindie Rock leaders. There will also be acrobats, costume parties, free tricycle giveaways at every show and a chance to experience a live version of Lucky Diaz and the Family Jam Band’s new PBS show, Lishy Lou and Lucky Too! This is an incredible opportunity to experience music with your family for FREE. Alison Faith Levy gets the party started early in San Mateo County at the Foster City Library with a roaring outdoor show in the Leo J. Ryan amphitheater. Tricycle Fest’s opening show will take place this Saturday, Sept. 13, and will include acrobats and caricature portraits. Kindie music trailblazer and founding member of The Sippy Cups, Alison Faith Levy knows how to get the entire family moving and grooving. With her Big Time Tot Rock Band, she brings dynamic musicianship and live beats from her highly-acclaimed album, World of Wonder. From Lollapalooza to Austin City Limits, Alison loves performing, and the San Francisco Public Library is her favorite performance venue. Lucky Diaz and the Family Jam Band, known as “the faces of kindie music” byThe Washington Post and winners of the 2013 Latin Grammy Award for last year’s ¡Fantastico!, as well as a nomination for this year’s release, Aqui Alla, kick off the family rock concert series in San Francisco on Sept. 27 and then join Alphabet Rockers and Alison Faith Levy for hours of dancing in the streets at the Excelsior Branch (in partnership with Sunday Streets). BONUS: A rare opportunity will take place on Sunday, Oct. 5 as Lucky Diaz, Alisha Gaddis and the rest of the crew will transform the SF Main Library’s atrium into a live version of their new PBS show, Lishy Lou and Lucky Too, including full band, ensemble and epic dance party. Get your FREE tickets NOW. Show starts at 10 a.m. http://trike2014.eventbrite.com/. Episodes are available for preview and purchase here. Get caught up before the show! Relying on clever wordplay and reinforced by their wonderful harmonies, the California based band The Corner Laughers use comedy to instill a love of learning for their small listeners. With their heavenly vocals, the Corner Laughers are also accompanied by guitars, ukuleles, and a heart-pounding rhythm section. The Alphabet Rockers are recognized for being “the premiere Bay Area hip hop collective for families.” Finalists in the 2014 John Lennon Songwriting Contest for their song, “Dynamite” (video below), the Alphabet Rockers produce highly interactive, engaging hip hop productions for young audiences that make learning come alive through beats, rhymes and movement. The Alphabet Rockers are also teaching artists that bring workshops and assemblies to schools throughout the Bay Area. Alphabet Rockers’ educate and empower children through interactive performances that focus on self-esteem, bullying prevention, and nutrition. Justin Lansing and Joe Mailander have been exploring the outdoors together since they were kids. Their extended canoe trip down the Mississippi River inspired their Grammy Award-winning album, Can You Canoe? Earlier this year, the “brothers” set off on a month long trip along the Appalachian Trail to produce their latest adventure release, Through the Woods. With songs written by the campfire, and harmonies born on the water, the natural world is at the heart of their Americana folk music. The Okee Dokee Brothers make room for kids to dance, for parents to share stories, and for everyone to gain respect for nature, each other, and the world we live in. Grammy nominated duo Jason Rabinowitz and Jacob Stein return for the finale weekend with a whole new electro-pop show inspired by their new release, Appetite for Construction. Another Grammy nomination or win is wildly anticipated. Experience what happens as The Pop Ups mix indie rock, hand-painted sets and puppets. Inspired by their Costume Party (video below) anthem, come dressed in your favorite costume and get ready to dance. There will be a Halloween Dance Party at Pacifica Sharp Park on Oct. 25 and a Halloween Costume Parade in Belmont on Oct. 26 with festive seasonal crafts.